rolling out the 'October Car Care' event, which features a complimentary enhanced multi-point inspection covering 100 points on vehicles for all Nissan owners - 73 additional points of inspection more than Nissan's standard complimentary multi-point inspection. The promotion's three grand prizes offer the chance to win 'Maintenance For Life', including recommended regularly scheduled service, for the life of the customer's vehicle. 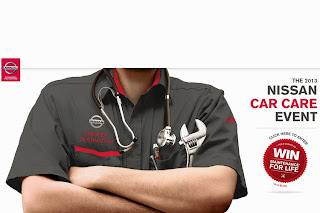 The event runs through October 31, 2013 and is open to Nissan owners or lessees, who can enter the sweepstakes at www.nissancarcareevent.com or directly through their Facebook newsfeed. Each of the 'Maintenance for Life' grand prizes consists of a dealer service rewards card valued at US$ 5,000. 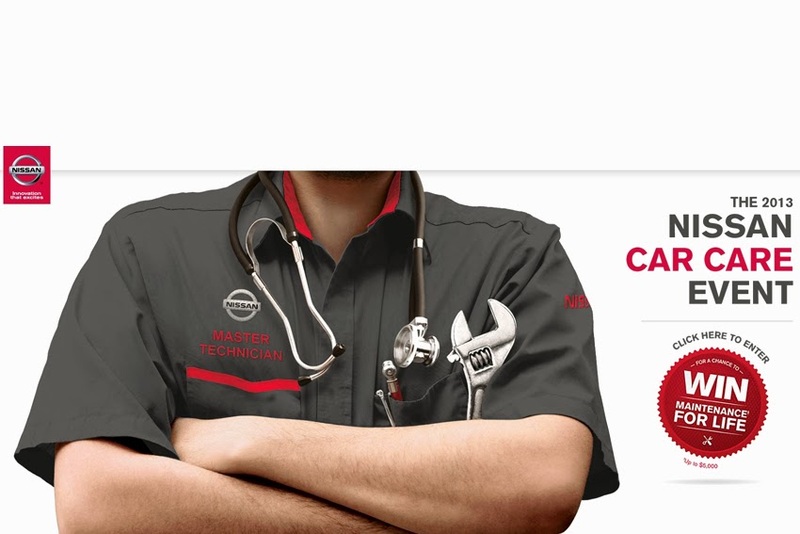 The 'October Car Care' event and sweepstakes is designed to give Nissan customers a great customer service experience and make it easy for them to protect their investment with routine maintenance to keep their vehicles running smoothly. "With the focus on maintaining the value of your vehicle during Car Care Month, we felt it was a great time to reinforce our commitment to Nissan owners by offering complimentary inspections at their local dealership," said John Spoon, Vice-President, Aftersales. "We're also excited to share dealer offerings such as Express Service with our customers. With Express Service, Nissan owners can have oil changes and other basic maintenance completed without appointments in under 30 minutes." Nissan and partner agency The Marketing Store Worldwide collaborated in creating the 'October Car Care' event and the 'Maintenance For Life' grand prize.